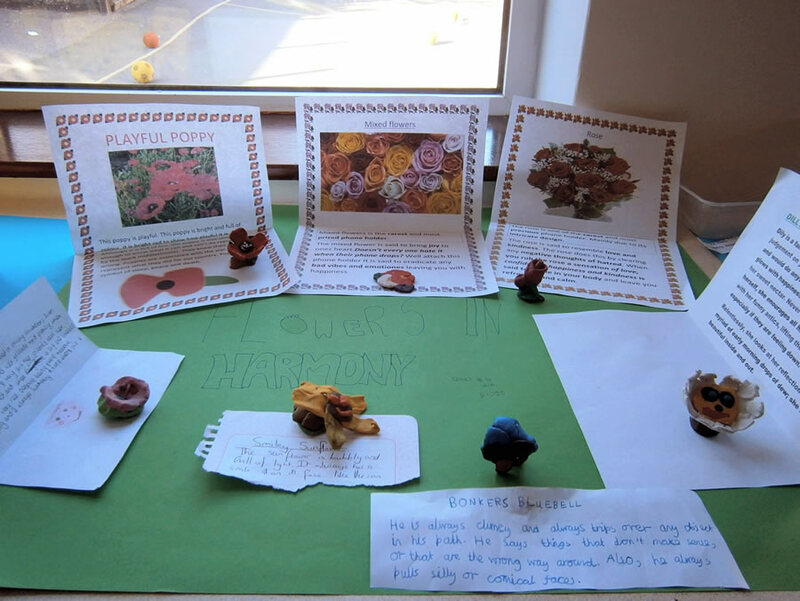 Congratulations to the team Peace and Harmony on being judged the winners of Year 6’s “Collectibles for Peace” project. In this seven teams were asked to design and produce seven small collectibles, of any sort, illustrating the theme of ‘peace’, and I was honoured to be asked to judge the excellent results. 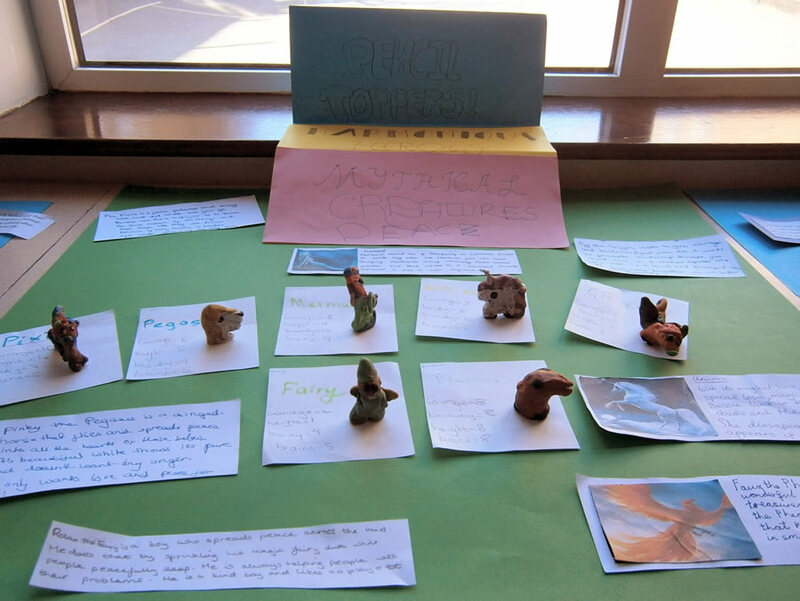 All seven teams had worked hard on producing their items (made with modelling clay) and written up and illustrated with suitable explanations. The best of them adapted well-known versions of familiar marketed collectibles – scratch-cards, fridge magnets, marbles – rather than merely presenting seven different items. So the Harmonious Hearts team (2nd place) offered nicely-scaled ‘pencil toppers’ of the sort seen in many a gift shop. Great skill in creating the collectibles was shown in the Flowers in Harmony team (3rd place), whose clay poppy and rose were notably successful. 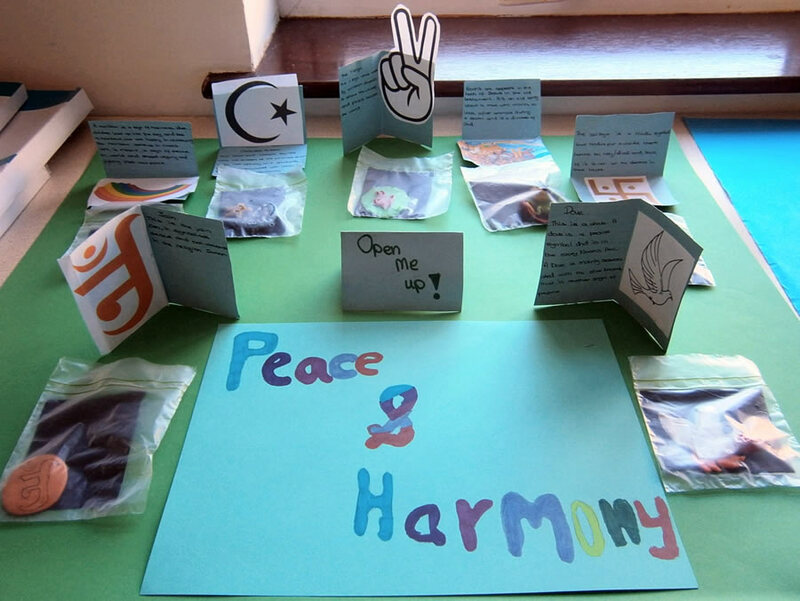 Combining skill, originality and pleasingly presented captioning, however, the Peace and Harmony team offered their badges and scratch-cards (each hiding an initial which when assembled spelled out ‘MUSIC’), featuring seven famous symbols from many faiths, all carefully made and labelled with uniform neatness, and they are the worthy winners of the competition. Well done, Year 6 and Mrs Redgrave, who devised this project!